A new study has looked at where in London it is cheapest to rent a home if you a group of four sharing and named Bexley as the best value location. Based on the scenario of one person per bedroom, the data uses average private rental prices to determine whether one, two, three or four bedroom properties are the best value in each borough. For a four bedroom property in Bexley, the average monthly total rent is £1,633.52 but divided between four people it is £408.38 each, some 35% cheaper than the average cost of renting a room in London at £629 per month according to the Government’s Private Rental Market statistics. 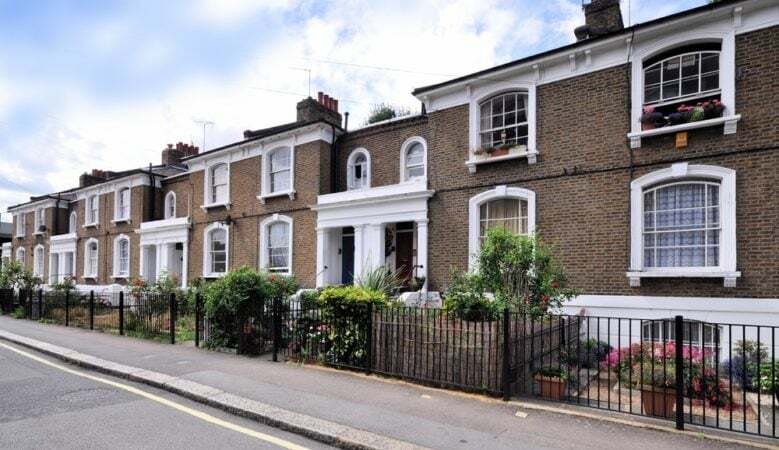 The research from property website OnTheMarket also shows that in North London, living as a group of four in Enfield is the cheapest scenario at an average of £521.84 for each of the four tenants and in South London it is Croydon at £508.41. In West London, living as a group of three in Hillingdon is the most cost-effective way to rent with an average cost of £498.44 per month for each tenant while in central London, the cheapest scenario is to live as a group of four in Islington at an average rental cost of £895.85 per person. There are some boroughs where it is cheaper to live as a group of three instead of four. These are Haringey, Havering, Bromley, Merton, Sutton, Ealing, Hammersmith & Fulham, Hillingdon, Hounslow and Richmond upon Thames. There are also some London boroughs where it is cheaper to live as a group of two, one bedroom each, and these include Camden, Kensington and Chelsea and Westminster. ‘The data shows that at a time when tenants in the capital are becoming increasingly stretched, they can potentially reduce their overall rental outgoings by examining different cost scenarios based on the number of flatmates,’ said Helen Whiteley, the firm’s commercial director. ‘The findings also highlight that considering moving to a different borough can save notable amounts of money for the difference of just a few miles,’ she added. Charlie Benn, director of lettings at Anthony Martin estate agents in Bexley, pointed out that the area is a 45 minute commute to central London and within an easy commute to the Crossrail Link at Abbey Wood which is due to open in December 2018. ‘The suburban area of Bexley provides the best of both worlds with its close proximity to excellent schools, green spaces and affordable prices while also within driving reach of places such as Bluewater Shopping Centre and the centre of London under an hour away,’ he added. According to Lewis Page, lettings negotiator at haart estate agents in Ruislip in Hillingdon, three bedroom properties in this borough are popular among renters because it’s easy to apportion costs. Acorn in Bexley is opening new offices in the borough to cope with demand. ‘With the introduction of Crossrail into the area, improving the already vast transport links into the city, and the plethora of good schools and entertainment options, Bexley has proved to be a hotspot,’ said Jake Blackman, branch manager. there aren’t many boroughs that can offer the diverse entertainment and shopping facilities of Bexley. These include the Broadway Shopping Centre in Bexleyheath which has modern shops and food chains, complemented by Bexley Village which has a more alternative array of independent restaurants, boutique shops and bars,’ he added.